Monday nights have become very special at Lifestyle Team in Kingston – a full 2.5 hour training session. Just over an hour of Judo for BJJ with Jonathon Purssey – former British and Commonwealth Judo champion – and over an hour of Brazilian Jiu-Jitsu. Our Judo sessions are modern and dynamic and tailored for BJJ competition. In just five weeks, we have learned to build our techniques together – with follow-up techniques if the first sweep fails. We feel genuinely excited about the team’s competition future with many of us wanting to compete in 2016. 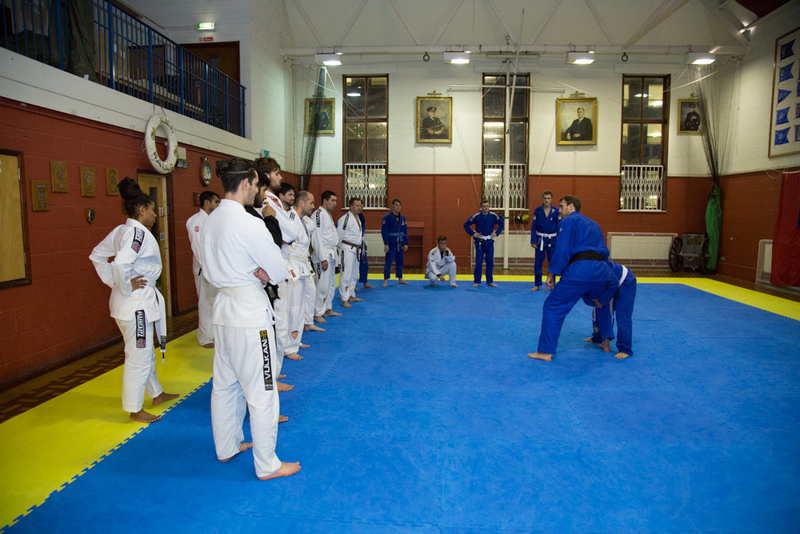 Standing to pass the guard..
Our Brazilian Jiu-Jitsu sessions focus on repetition of all of the key positions, transitions, submissions – defences, escapes and counters. There are always an average of 15 to 20 team members on our mat of varying different levels of experience. We are combining our Judo with BJJ and working towards transitioning from standing to the ground to take a strong first ground position. Join Lifestyle Team in Kingston and learn takedowns in the Gi, No-Gi takedowns and the best ground work provided by Brazilian Jiu-Jitsu and Freestyle Wrestling. Our Judo for BJJ sessions have only just begun and it isn’t too late to join the team and reap the benefits of learning from three experienced coaches from three different grappling disciplines.